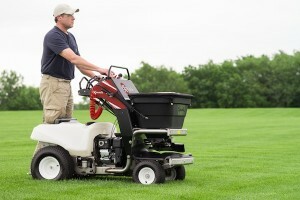 In time for 2016 GIE+EXPO, Exmark Manufacturing ramped up its mower lineups—and select warranties—as well as introduced new sprayer-spreader accessories. 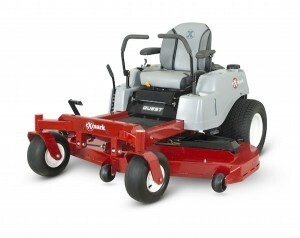 Exmark launched its largest Quest-S series zero-turn mower to date in a 60-inch model. The 60-inch Quest S-series features series two cutting decks, a steel unibody frame and is powered by Exmark’s 708cc twin-cylinder engine. As well, the company’s recently launched Radius zero-turn mower is available in three models: E-Series, S-Series and X-Series. Each features an unibody steel frame, large front caster tires and rear drive tires. Adding to its commercial zero-turn mower offerings, Exmark also upgraded the warranty on its Lazer Z series. Each Lazer Z X-Series model features a five-year or 1,500-hour limited warranty, with no hour limit in the first two years. The limited warranty period for Lazer Z E-Series and Lazer Z S-Series machines is five years or 1,250 hours, again with no hour limit in the first two years of ownership. Additionally, the company introduced a number of new accessories for its stand-on spreader-sprayer. Among the new accessories are a multipurpose bag, which attaches to the tower of the spreader-sprayer and can hold a 2.5-gallon hand sprayer, a new 30-inch hose and tray extension and a hose tray for the stock 15-inch spray wand hose.